The great southern land, a giant island filled with some of the world’s most dangerous animals, beautiful landscapes, and white sand beaches. But enough about the geographical side to Australia, let’s talk about some of the strange things those crazy Aussies say in the land down under. Your official blue-blooded Australian. This type of Australian tends to use a lot of older expressions, not so common amongst the younger generations unless you go out to the country regions. 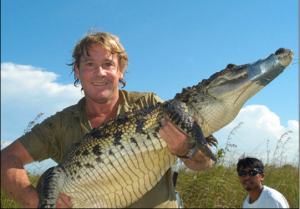 A great example of this would the late Steve Irwin, a great Australian icon (definitely my favorite) who blessed our televisions with his endless adventures as he chased and handled some of the most dangerous animals from around the world. Let’s look at some of his favorite expressions. Crickey is used to express surprise. Ex: “Crickey, that croc (crocodile) nearly bit off my arm”. Struth is similar to crickey, used to express an exclamation, “struth! check out that Sheila (a woman)”. To call someone an Occa would not necessarily be offensive, some people would take pride in it, but it does give the sense that the person is a little old-fashioned, and amongst the younger generations it would be considered lame. A Yobbo would often be referenced to man or woman who… swears A LOT, drinks beer A LOT, watches Australian football or rugby A LOT, although has probably never done any kind of physical exercise. A yobbo always drives some kind of muscle car with a lot of donk (power) and loves doing donuts in car parks in front of his friends. They are very proud Australians,but not the most humble. A yobbo would be considered by society lazy and probably receives an unemployment pension from the government, which in Australia we call the dole. To get an idea of how the yobbo talks, lets take a look at the following video. It’s a parody of Mark (Chopper) Reid, Aussie criminal who became a national icon. Chopper is a typical yobbo and in this program the actor is showing how Chopper would act in many diverse situations, in this case a driving instructor. Like I said yobbos like to swear a bit so be warned this clip contains some swearing. • Thongs = flip flops, not to be mistaken for a thong (calcinha fio dental) in American English. Yobbo comes from the word Yob (which is boy backwards), and in Aussie English we often add an O to the end of words. This is done as a form of endearment as it is often done with names of mates e.g. Rob/Robbo, Jeff/ jeffo, Steve/ Steveo (always for one syllable names). A bogan, similar to a yobbo drinks a lot and enjoys swearing. Usually a bogan’s most prized possession is his or her car which would be an older style Ford or Chevrolet Holden, which will always be playing their favorite music, usually some kind of old rock n roll e.g. ACDC, Metallica. A bogan’s style would be a checked flannel shirt or a black shirt, tight jeans, thongs and they top it all off with the famous bogan mullet. A mullet is when your hair is short at the front and long at the back, a typical slogan for this style is, business at the front, party at the back. Very classy! How bogans speak: One of the most distinct differences in the way a bogan speaks would be the pronunciation of the “ing”. Instead of pronouncing this correctly they tend to substitute ing for in/en e.g. I’m goen fishin. You becomes YA e.g. “How ya goen mate?” The tone of voice is different as they tend to pronounce their words in a higher pitched tone. 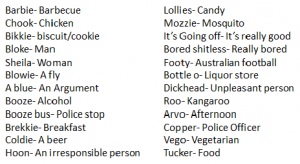 Now I’m just going to go through some aussie slang, and although it may seem strange just remember people actually say these things, I’m not taking the piss from you (I’m not messing around with you). This would be just a few of the unique Australian expressions, there are many more so check out this link and start Australianizing your English today. Remember that much like Brazilian Portuguese, Australian English can change depending on the state or region, although this would be more so the expressions as the accent itself doesn’t differ as much. I have to finish off this post with a quick explanation of one of the greatest Australian creation of all time, the one and only Vegemite. Vegemite is a black, strong scented paste made from yeast and vegetable extract eaten on toast or a cracker. It has a very unique taste which I believe you have to be Australian to enjoy; I say this based on the general reaction I get from the Brazilians I’ve shown this to, a common Brazilian response after trying vegemite would be “ecaaa”. The expression Happy little vegemites evolved from the famous jingle played during the commercial. The expression is just to show that you are satisfied with something, again I guess it’s a little old fashioned but I love to hear it being used, probably because I love vegemite so much. Ok folks, I hope I have giving you some insight into Australian culture and taught you a few words and expression. 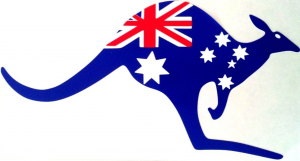 If you have any questions about Australia feel free to post them below or on the Facebook page. I’m gonna take off, all this talk about vegemite has made me hungry. For people who want to’ learn more about Australian English, check out this video! The Bogan sums up you perfectly, except that you don't have a car, don't listen to old rock, don't have a mullet and don't have a high pitched tone of voice. Dani I'm going to BLOW my whistle!! Ha ha ha ha ha! I'm South African I come from a country that speaks many languages and we are nothing like Australians! We are two separates worlds and are very different in personality and the sound of language!! But Dani I still love you even though you said that<3. Ha ha ha ha ha ha! The yobbo looks like the aussie version of the American white trash to me (Not sure if you would agree with me on that). Loved reading this. I hope to visit Australia sometime soon! love this its so cool. Adoro provar comidas diferentes. Você compra o Vegemite de algum site ou ele é vendido em algum lugar de Belo Horizonte?